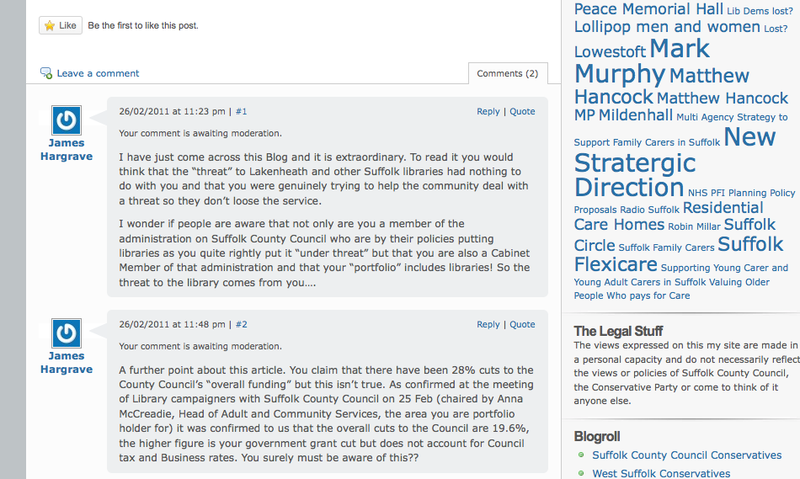 I noticed he had made a post entitled "Lakenheath Library under threat" which I found astonishing. Not only does the post get the County Council's budget reduction wrong - claiming 28% when it is 19.6% but fails to mention that as a cabinet member the threat to the library is coming from him! 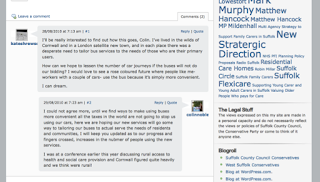 Whilst I always appreciate people taking the time to read and comment on my blog. It is my personal policy on my personal blog not to post any comments, as you will see if you browse my archive section a policy consistently applied. 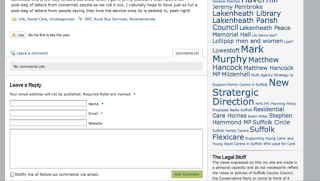 If you wish to formally email me as a County Councillor I will be pleased to reply. Note as of 1945 on Sunday 27 Feb 2011 the comments have re-appeared, this screenshot was taken earlier today! I began wondering if I had overdone it on the wine last night until I remembered the Google Cache. 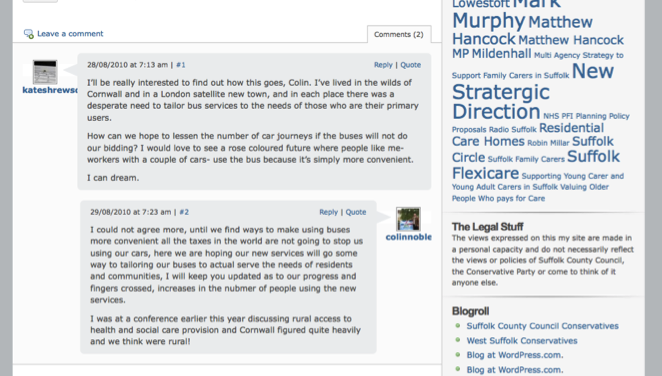 Here on the Google Cache page are the comments I had read last night. 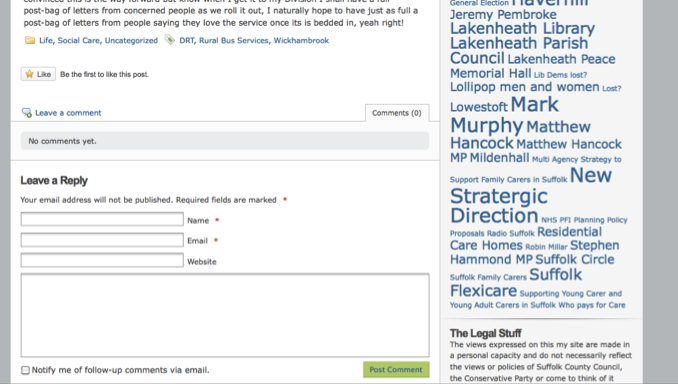 It appears that between me looking at the comments last night and Cllr Noble sending me his email the comments were deleted. 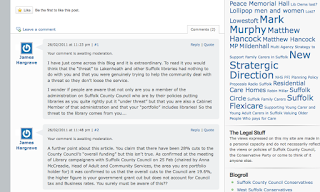 If Cllr Nobe would like to explain what happened to the comments he is welcome to use the comments feature on my Blog.